Not a great sign for Bristol after forking over a billion and a half dollars. 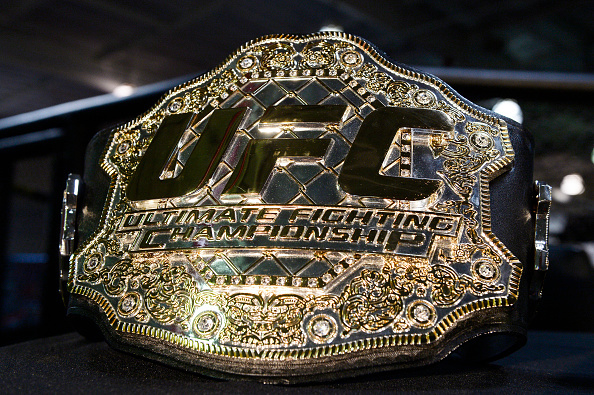 Beginning next year, ESPN will make an unprecedented commitment to the UFC and mixed martial arts. In the spring, Bristol agreed to a landmark five year deal totaling $1.5 *billion* to acquire both television and streaming rights to the premier MMA promotion in the land. UFC has certainly seen its cultural significance and popularity increase exponentially since its early days as it’s fully come into the mainstream. However, the organization seems to be limping into the new ESPN era instead of sprinting full speed ahead. Via Dave Meltzer at MMAFighting.com comes the news that the most recent fight card on Fox, UFC on Fox 30, drew the lowest rating in the history of the network series. What may be most disconcerting is that it’s not an isolated incident. The previous lowest for UFC on Fox came back in January of this year and is down 18% from last summer. It is official: Saturday night’s 29th installment of UFC on FOX, headlined by Dustin Poirier’s second-round win over Eddie Alvarez, was the lowest-rated event in the seven-year history of the series, averaging a 1.04 rating and 1,678,000 viewers. The number is perplexing on a number of levels. While July is harder to draw television viewers on Saturday nights, the number was 18 percent down from the July show last year and 41 percent down from two years ago. This year’s card, on paper, should have easily topped last year’s show, as well as many other FOX shows in recent years. All three major networks, running rerun shows, handily beat UFC on FOX, although all did so due to drawing far more viewers over 50. The UFC show beat all the networks and all but one show on cable when it came to younger viewers. The show was the highest rated in all the key male demos on television. The only show on television that beat the UFC in 18-49 and 18-34 demos was “Live PD: 134 PD” on A&E, and that was because of more appeal with women. The previous record low, the January show headlined by Ronaldo “Jacare” Souza’s win over Derek Brunson, did 1,770,000 viewers. But there was a big difference in star level and expected quality of that show and this one. On paper, that rating was not a surprise. There are a couple of ways to look at these numbers. First comes the fact that Fox isn’t really going to put its full promotional machine behind UFC anymore since the sport is soon to leave the network and move over to ESPN. Once ESPN takes over the rights, you can bet that the Bristol machine will do everything it can to make sure UFC is front and center on every single one of their platforms. Admittedly, it will probably take some time getting used to The Ultimate Fighter being debated on First Take. But on the other hand, ESPN surely has to be concerned that the slide isn’t just a promotional thing, but part of a larger overall decline. Sure, with all of ESPN’s resources they can strap a rocket to UFC and try to shoot the sport to the moon. But with all of the increased competition in today’s world it’s perhaps more difficult than ever before to regain lost fans or attract new fans to a sport. Look no further than NASCAR, where the sport’s astronomical ratings have fallen so far that the sport now routinely sets all-time low ratings on a regular basis. How can ESPN make sure UFC doesn’t go the way of NASCAR and continue to lose viewers? That’s the $1.5 billion question for Bristol.